Professor W.M. Sloane, a member of the Princeton faculty, undertook the task of refuting claims that not only was Princeton was the bastion of the elite, but that young men of limited means could never attend the university. These are the letters he compiled from new graduates (note, according this inflation calculator, $1 in 1896 is worth about $27.03 in 2012–costs of attending Princeton for the 2012-2013 school year: $54,780). Dear Sir — In pursuance of your request, I have made out a statement as to my yearly expenses. The totals are correct if the various items may not be exactly so. I would state that of the amount expended the second year, I earned (part) here in college during that year. Note. — The item “sundries” does not include money spent for clothes, nor travelling nor vacation expenses. The item “text-books” is small, owing to the fact that I have resold most of my books. The amount given is the final amount. This year (Junior) by helping to “run an eating club” I get my board at two dollars ($2.00) a week. I have received from the College my tuition free ($100). I would also like to say that I was offered a scholarship of two hundred and fifty dollars ($250) at____, but that after carefully looking the ground over I found that $100 at Princeton would go further than $250 at____, and my experience has proved to me the truth of my first opinion. Princeton, N. J., June 15, 1896. I hand you below a statement of my expenses while in Princeton College, as requested. In senior year I kept an account of the receipts only. But, as I left college with about the same amount on hand I had when I went there in the fall, my expenses must have been nearly the same as my receipts — namely, $570. The above figures include clothes, books and all expenses of every kind, from September to June, together with travelling expenses. After Freshman year I earned a great deal by tutoring. In fact during the last three years I may say I paid my expenses in this way, for when senior year was over I found myself in debt only about $100 for money borrowed at different times to help out my earnings. Princeton, N. J., Jan. 22, 1896. Inclosed please find list of expenses for college course as near as I can get at them. Senior year will cost about $400.00. Average expenses, $327.75 per year. 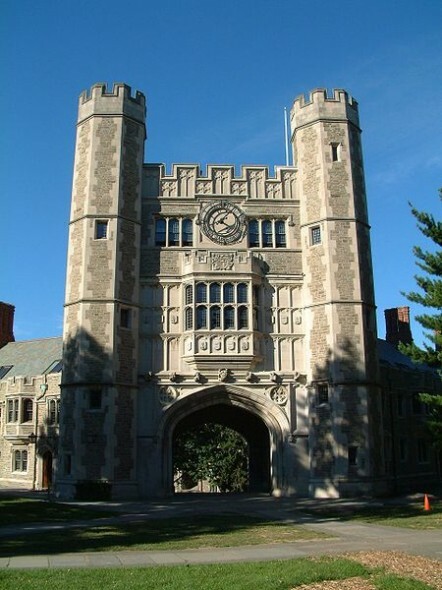 Having saved $130 from my earnings before entering college, I entered the Sophomore class of Princeton in the fall of 1893, thus joining the class of ’96. During Sophomore year I did what work I could get to do and closed the year with $5.30 in my pocket. The following summer I was at work about half the time and came back in September to begin Junior year. I became manager of a boarding club and kept constantly on the lookout for something to do. Junior year cost me just about $50, for at commencement time I had almost as much money on hand as at the beginning of the year. Last summer I was at work part of my vacation and made about $60. Senior year is perhaps the most expensive year in college, but notwithstanding this fact I have by management of clubs and by taking advantage of the numerous opportunities to make money which come in the way of a young man here in Princeton, made more money than I will spend and will graduate with a larger amount to my credit in the bank than I had at the beginning of the year. Thus, while my actual expenses in college have been a little more than $200 a year, my college course has — even from a financial point of view — been a source of profit to me, for I have made more money than I have spent. It might be well here to add that since entering college I have supported myself entirely, receiving no aid from home or from any Church Educational Board.